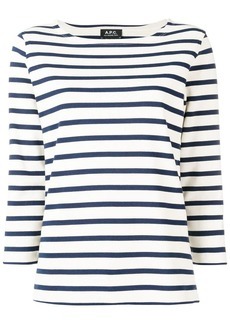 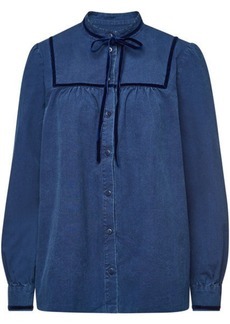 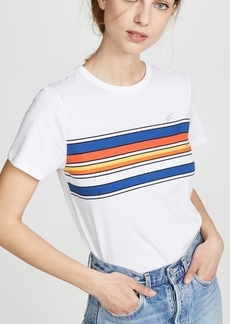 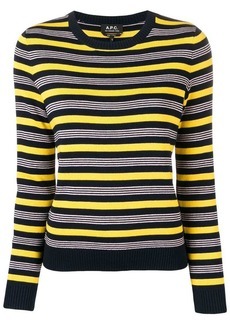 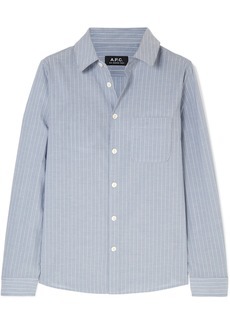 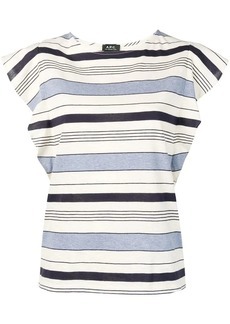 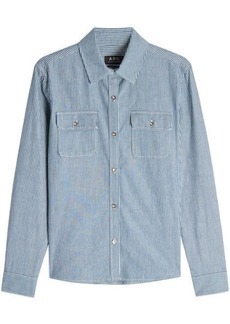 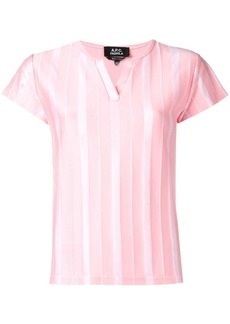 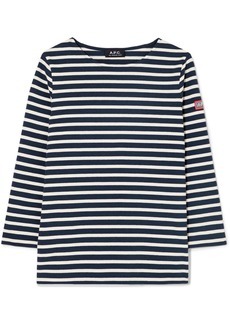 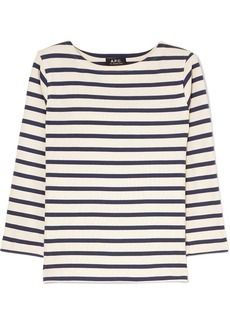 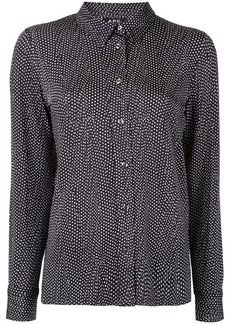 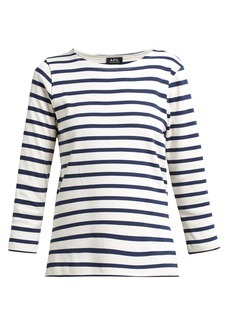 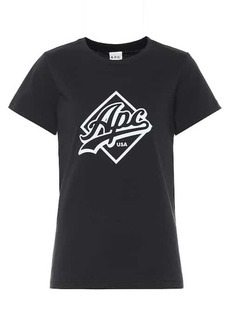 A.P.C can be always be relied on for a touch of French cool, as is exemplified by this striped cotton blouse. 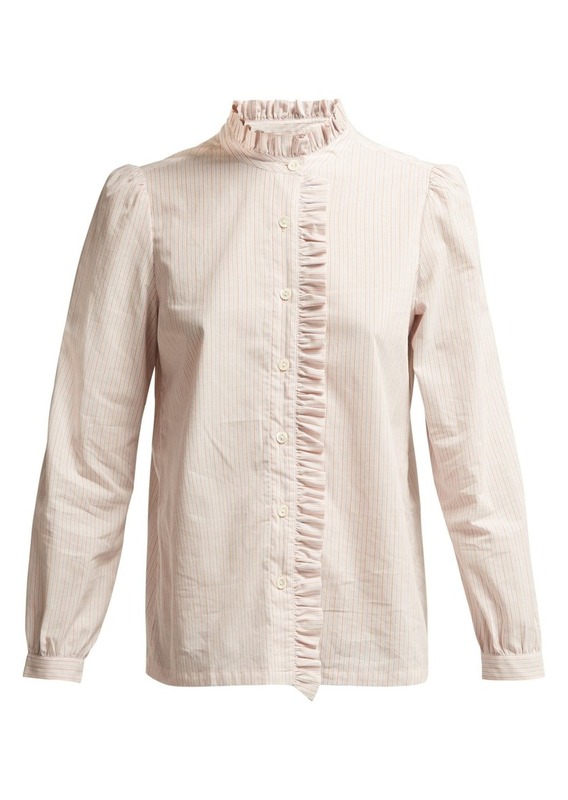 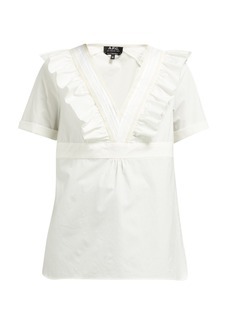 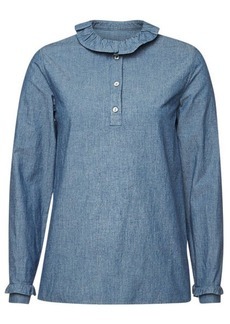 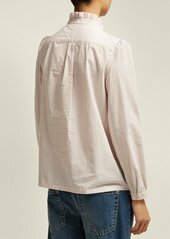 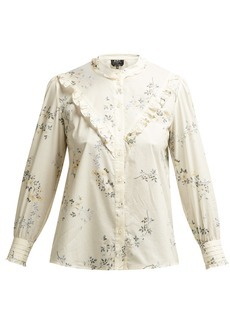 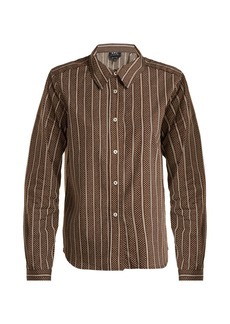 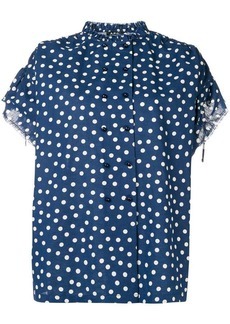 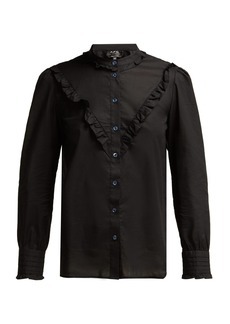 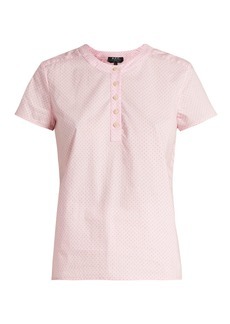 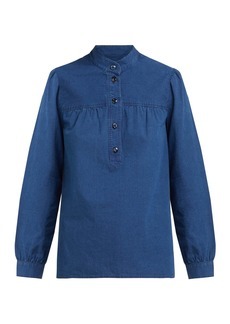 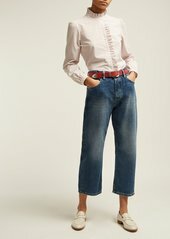 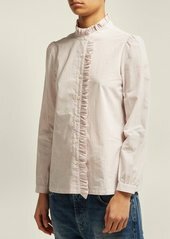 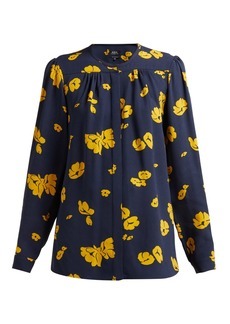 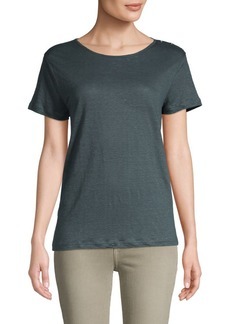 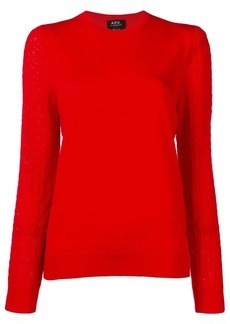 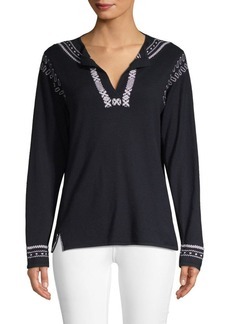 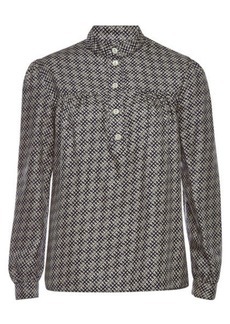 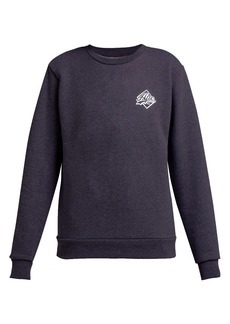 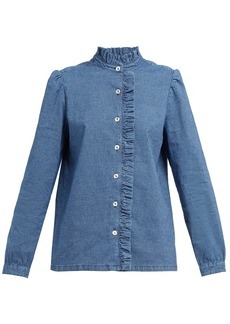 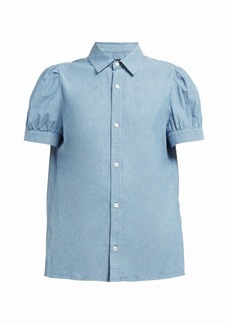 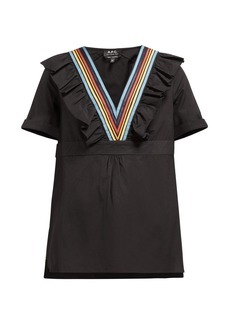 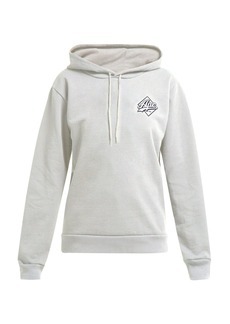 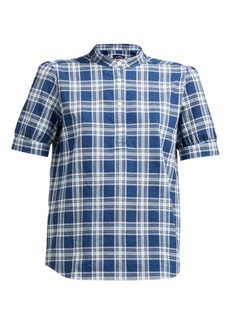 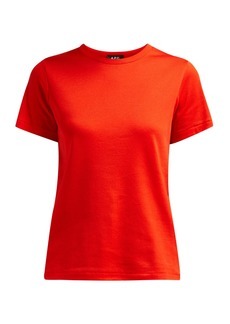 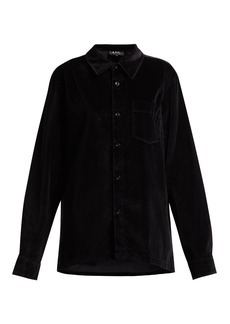 It’s shaped for a relaxed fit, with snug cuffs and a neat ruffle along the collar and placket. 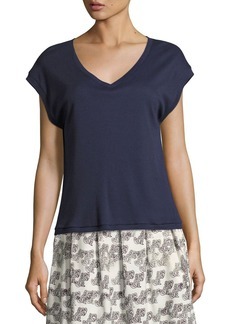 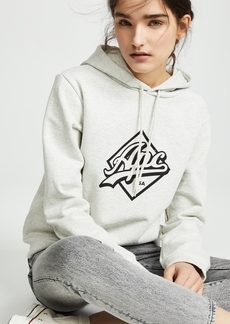 Style it with simple accessories to allow its details to take center stage.